A complete powder lamination line, with A-frame loading system. The fabric is fed from the unwind into the powder scattering unit, which is immediately proceeded by an IR dryer unit for pre-setting the adhesive onto the fabric if required. 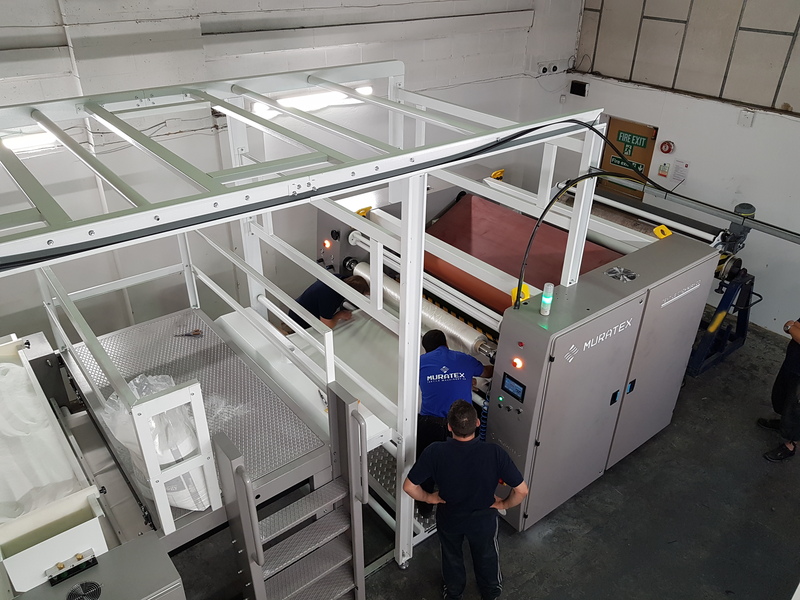 The powder coated substrate is then fed into a bonding machine where a film is laminated to it using an 800mm Teflon coated drum and silicone belt. The end product is finally wound onto another A-frame. Capable of runs lengths from 1-2m, up to 10,000 metres or more using the A-frame unwind and rewind, this machine will comfortably run at speeds of up to 15 metres/min.